Antonio Augusto Saldanha has been an attorney since 1997. He is a founding partner of Novotny, Ney, Saldanha, Penna, Ponte, Vianna & Corrêa Advogados, with extensive experience across a wide range of areas of business law, specializing in litigation. Antonio has represented several domestic and international clients across multiple economic sectors for more than two decades. His experience includes legal issues involving shopping centers, capital and financial markets, as well as industries in general. In the shopping center sector, Antonio assists clients in strategic industry demands, as well as in disputes involving commercial leases and civil liability. With in-depth knowledge of the complex set of contractual and legal rules involving shopping center owners, retailers and consumers, Antonio routinely assists clients in drafting commercial leases, shopping center rules and regulations, and condominium charters, among other instruments. 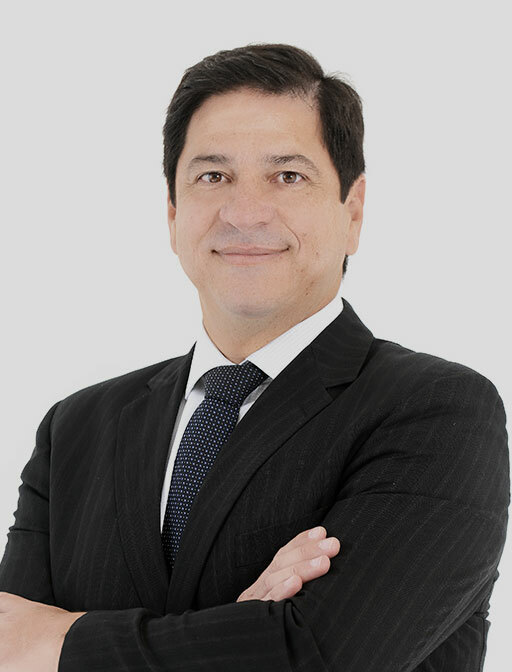 In addition to his practice in litigation, Antonio advises clients on alternative dispute resolution mechanisms, such as negotiation, conciliation, arbitration and mediation. His seasoned experience in litigation and training in Business Mediation enable him to provide clients with tailored and creative solutions to settle ongoing or avoid potential disputes. In his practice, Antonio counts with the assistance of the highly trained team of lawyers of the Firm’s litigation area. Antonio also has vast experience in the negotiation of commercial contracts and in advising clients in real estate operations and other business transactions.